[Area 52] <Wined N Dined> 8/9 M, Tues&Thurs 9PM-1AM EST. 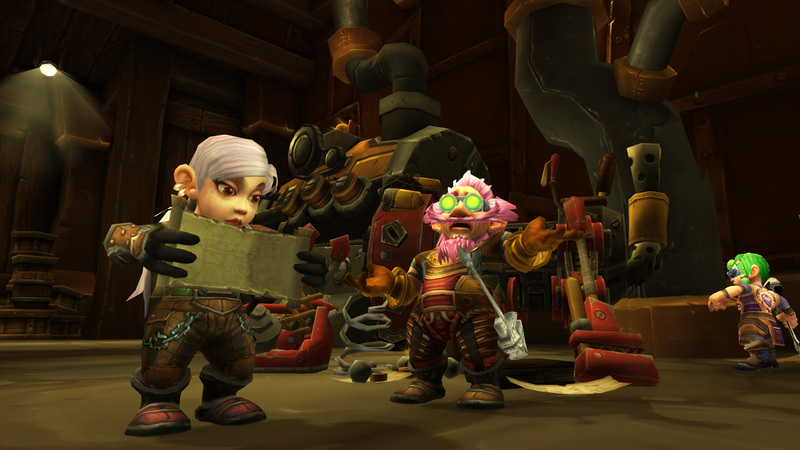 A new patch means new tweets from the World of Warcraft development team! This thread is an archive of @WarcraftDevs tweets regarding the Battle for Azeroth Pre-Patch and release. 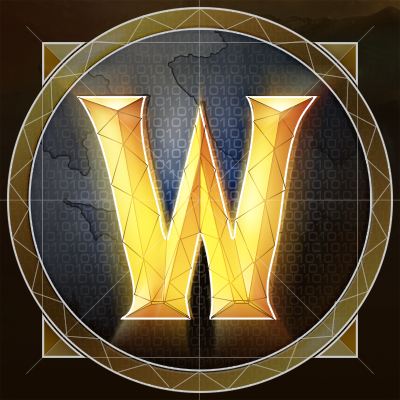 @WarcraftDevs is an official World of Warcraft Twitter account offering design insight and information directly from the World of Warcraft Development Team. For past updates, please refer to Updates from @WarcraftDevs - Patch 7.3.5 & BFA Beta. We've recently applied a couple of hotfixes to the Mythrax encounter: Oblivion Sphere now prioritizes ranged targets when possible, and the Existential Crisis achievement now functions as described. In Mythic+, Explosives now have 50% less health, and will no longer spawn from crowd controlled enemies. We're also working on a number of nerfs to specific dungeon creatures and mechanics. We've now fixed a bug with Bonus Rolls rewarding an unintended resource during the 14th Anniversary Event. any new about Coldlight Surfrunner pet from Island Expeditions?is the last pet i miss and yet 0% of player base received it,also 2nd time murloc appear on Whispering Reef,feedback will be appreciated!! Regarding being able to transmog fist weapons to one -handed weapons, will we be able to transmog one-handed weapons to fist weapons also? ​Here you'll find a list of hotfixes that address various issues related to World of Warcraft:Battle For Azeroth. Hi, will the next week weekly m+ cache reward the new currency for buying azerite pieces? You can tell this game is balanced when a item level 324 Assassination rogue out dps’s everyone (even those geared at 360+) in a battleground by a huge margin. Wearing all blue gear. Great job with this expansions pvp, Keep it up! is the changes to BM hunters‘ spirit mend intentional and if so, why? We're applying a hotfix to Uldir today: Zul's health has been reduced by 5% on Mythic difficulty. This is to address the fact that Tides of Vengeance removed the Subtlety Rogue passive Shuriken Combo, which was a core part of many guilds’ strategy on this fight. Can’t see the 7th Legion Scouting Map at the vendor but ma guildies bought it earlier. Did I miss something? I am wondering if there a reason why the amount of AP needed to level my HoA did not decrease this week like it has every other week. We have reverted yesterday's change to require Profession skill for using high iLvl crafted items. This will be a requirement on future items, but for now you should be able to again wear the crafted gear you've been using. 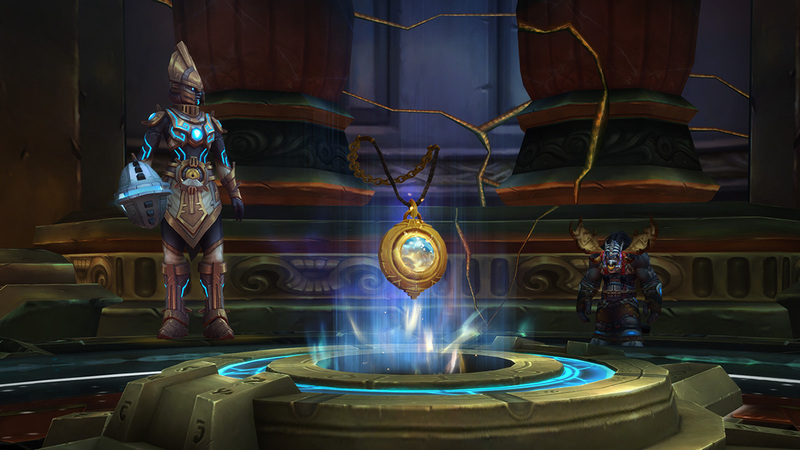 Earlier today, a bug was active for a short window of time (roughly 1:15 PM to 1:45 PM Pacific) that caused Island Expeditions to award extreme amounts of Artifact Power. The bug has been fixed, and we'll be removing the unintended extra AP gains in the coming days. the PvP title NAME the Elite CLASS, added in 8.1 will this title only last for the season, or is a title for keeps, once its earned for said character/characters of said class? [quote]can we get some sort of acknowledgement on the changes that happened to the qing system? really frustrating sitting incredibly long q’s, its really obvious that something was put in place to prevent you from playing against the same team. Weekly for 4 mythic dungeons only gives a normal cache now?? Used to say heroic historically, was this intended or should I wait to turn in? Makes me wonder if current state of gushing laceration is intentional? It was supposed to be buffed by 400%, but it definitely doesn´t look like it was on live, making it quite subpar power. Are you able to tell us whether Blood-Soaked Tome of Dark Whispers is obtainable in-game and whether it’s hidden? Greetings! We here in the Secret Finding Discord have been diligently working towards finding out how to obtain the blood-soaked-tome. Today it seems there was a hotfix that went out that enables it to be dropped on normal and heroic Zul is this intended? Please feel free to use this thread to post your thoughts about and issues with the new Reaping affix in Mythic Keystone dungeons on the 8.1.5 PTR. The affix was enabled earlier today, and testers should be able to obtain Mythic Keystones and then enter Keystone difficulties and experience it. With this week’s restarts, a hotfix was applied applied that causes items not intended for your class to no longer provide Titan Residuum when disenchanted or scrapped. The war raging across Azeroth between Alliance and Horde has intensified. As the Alliance lays plans to retake Darkshore and regain a foothold in Kalimdor, both factions have redoubled their attacks across the zones of Kul Tiras and Zandalar. Please look at tuning on Stormwall Blockade. It appears that a PTR tuning hotfix for the Stormwall Blockade encounter didn’t make it to the live servers. We’ll be applying that hotfix, and we’re also reducing health and damage of several portions of the encounter, shortly. did bursting get changed again? In a hotfix on December 14, Bursting went from 10% to 14% of maximum health per stack (over 4 seconds). A bugfix late in Legion had removed occasional extra Bursting ticks, but made the affix something you could almost ignore. This change restores it to its original lethality. Hello! I just found out that there was a PvP Illusion reward for reaching 2100 rating in Season 1. Will the Dreadflame Illusion also be available as a reward in Season 2? Yep! The Dreadflame Illusion is still available in Season 2 by reaching 2100 rating. the 50% buff to traits in pvp, does that effect already decreased traits? I.e ret avengers might trait was recently nerfed, has it now been reduced further? The change made today overrides any earlier PvP-specific balance changes made to those Azerite Traits. For example, if a trait’s effect was previously reduced by 55% in PvP, it is now only reduced by 50%. We’re aware of and investigating a fix for the disconnect some players are experiencing when riding a rooted Stun Bot during the Mekkatorque encounter in Battle for Dazar’alor. 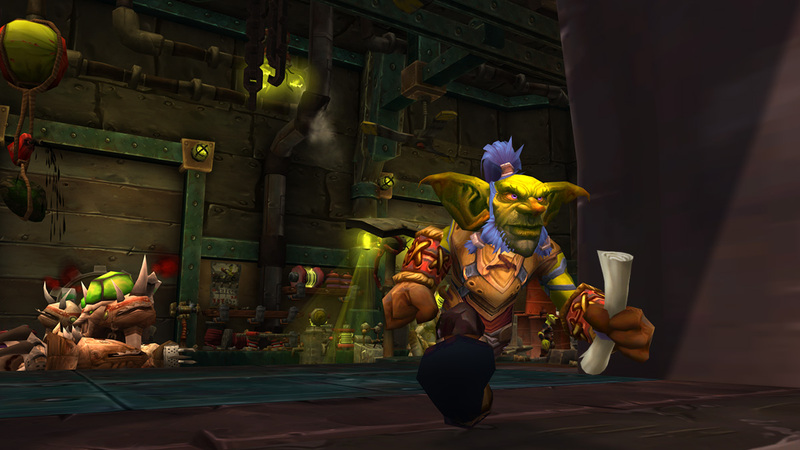 In today’s hotfixes: adjustments to new PvP trinkets, a fix for scrapping the new Engineering goggles, and Emissary armor, weapon caches, and rewards from faction assaults now reward the item by loot specialization. The Against Overwhelming Odds quest is only offered to a faction when they have recently been severely outnumbered, with a War Mode bonus of 20% or more. 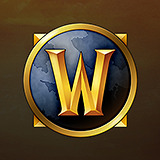 This week, Alliance players have a 15% War Mode bonus in the American region. Recent hotfixes blog post updated, including some fixes to Jaina Proudmoore in Battle of Dazar’alor. BM hunter is already bottom of the dps boards in new raid. Why are you nerfing Barbed Shot??? In 8.1.5, there is not a damage reduction to Barbed Shot. The change we’re testing is to have Barbed Shot ignore armor. The reduction on the tooltip for the Feeding Frenzy Azerite Trait is intended to keep Feeding Frenzy at the same value as before. With Whirling Dragon Punch, there seems to be a bug causing a cooldown discrepancy. We’re testing it in 8.1.5, where it appears to be fixed, and appreciate the heads-up. With a hotfix that is now live, the G.M.O.D. mount now has a chance to drop when Lady Jaina Proudmoore is defeated on Raid Finder difficulty (was High Tinker Mekkatorque). is AoTC for Dazar’alor going away on April 16th? The current Ahead of the Curve and Cutting Edge achievements will remain available until the opening of the main raid in the Rise of Azshara content update. The Key Bindings for selecting a specific action bar page (shift+1-6), paging forward (shift+mousewheel up), and paging backward (shift+mousewheel down) have been reset. These can be re-bound in the Action Bar section of the Key Bindings menu. Will the “hide chest” also include hide gloves and bracers? Because when people want to hide that stuff, they usually want to be top-bare completely, or have the shirt display without interference (ie: pirate shirts). So you might as well put all three in. Let us hide gloves, bracers, and pants! Once you have earned the Heritage armor, it remains in your transmog library regardless of the fate of the character who earned it. Good morning, this may have been asked already and I missed it, but will we have to complete Pathfinder Part 2 on the same character that completed part 1, or can they be done on separate characters? You can complete Part II of the Pathfinder achievement on any character, since Pathfinder Part I is account-wide. Can we get a little clarification: Are you increasing the max TF cap up to 435 with the release of Crucible of Storms? Asking because the last boss drops 425+ items and that “+” means it can WF/TF. The item-level cap will remain at 425 for the rest of Battle For Azeroth Season 2. The “+” indicates items that are eligible to Warforge in later seasons. I think there’s a problem with the function that sends the picture from the game to Twitter, it is sending only a black rectangle. We’re looking into this issue and preparing a hotfix for it. Can the Zandalari Troll Boomie form PLEASE be given a dance?!? It was my favorite part of regular moonkin form. Thank you! The Zandalari Troll moonkin form dance is something we’re working on. We don’t have an exact timeframe for it, but rest assured: we have not forgotten it. it was said that there was a hotfix for the “emissary of war quest” that allowed motherlode to award credit. However after just clearing m0 motherlode i did not recieve credit. It looks like we’re still having this issue where THE MOTHERLODE!! is not awarding credit for “Emissary of War”. We’re working on a fix for it, and don’t have an ETA just yet. In Rise of Azshara, the Heart of Azeroth will get a boost with the help of MOTHER, and players can seek out new ways to customize their powers through Essences. The new Mount Items only work on lvl 100+ characters. Why make leveling new chars even more annoying? Make that lvl 20 or so.